We didn't talk about it too much during the big reveal at this year's E3, due in part to some conflicting information, but Microsoft has plans to release two consoles within the next year. The first of these, the Xbox One S, is essentially a slightly upgraded version of the current Xbox One. It will support 4k for video and Blu-Ray, and High Dynamic Range (HDR) for games (and TVs) that support it. It's also smaller than the current Xbox One and can utilize up to a 2 TB hard drive. The market for this console appears to be anyone who doesn't currently own an Xbox One. What's confusing, though, is that at the same time they announced this, they also announced the (currently named) Project Scorpio, which was touted as "the most powerful console ever built." From initial descriptions, this console sounds like a box that is a bigger step up from the Xbox One and would support "high-end VR." So, if you're in the market for an Xbox One, you face a dilemma: get the Xbox One S now, or wait for Scorpio? The good news is that all games will play on any of the consoles, so it really comes down to how much you want to chase that graphic fidelity dragon. Gears of War 4 Crimson Omen Limited Edition Xbox One wireless controller with a "textured grip for enhanced comfort"
The whole thing will ship on October 7, ensuring you'll still get that early access that's included. 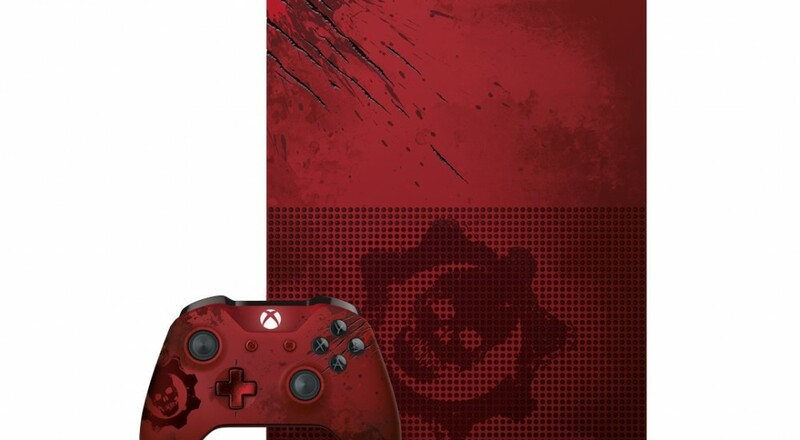 If you still want to show your love of Gears, but don't want the console, then Microsoft's got a controller for you. 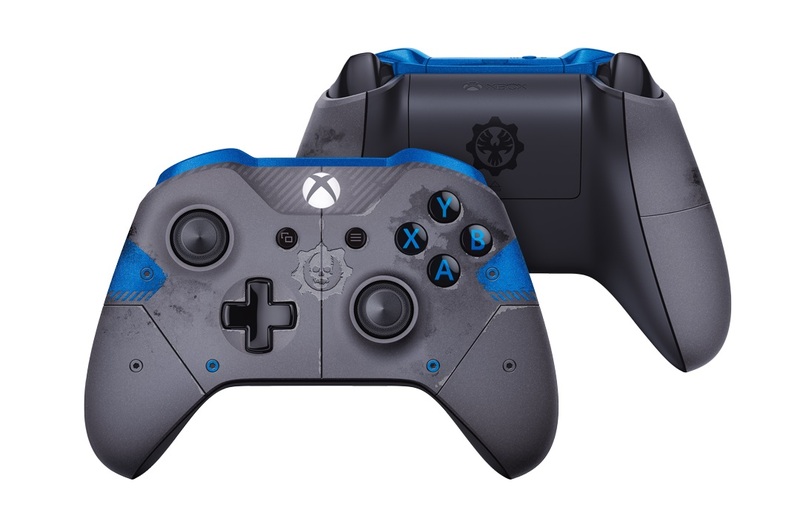 The JD Fenix Limited Edition Xbox Wireless controller takes inspiration for its blue/grey design from JD's armor and also includes some Gear Packs for Gears of War 4, so you can enjoy a few exclusive items in-game. Both the Crimson Omen controller that's part of the bundle and the JD Fenix controller will be available to buy starting September 13, 2016 for $74.99. Gears of War 4 will be released on October 11, 2016 for Xbox One and Windows 10, and will support cross-platform co-op throughout the game's campaign and co-op modes.